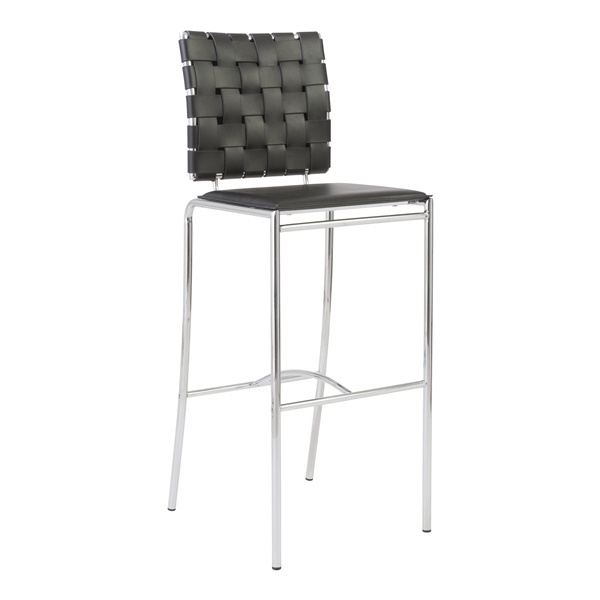 With a woven leather back, the Carina-B Bar Stool offers a unique modern look for any space. It looks great paired with a modern high table, providing a great place to enjoy a drink or casual meal. The Carina-B Bar Stool also features a leather seat and back with a sleek, chrome frame that complements the luxurious look of its leather.